CBD and THC are two of the hundreds of compounds found in the cannabis plant. Termed cannabinoids, these compounds are considered beneficial in the human body, but each offers a different effect upon consumption. THC is the compound responsible for inducing the feeling of being “high”, while CBD is non-intoxicating. This is the reason why CBD is often preferred by those who want to use cannabis as an alternative medical treatment. Louisiana is home to some of the most diverse cultures in the South. 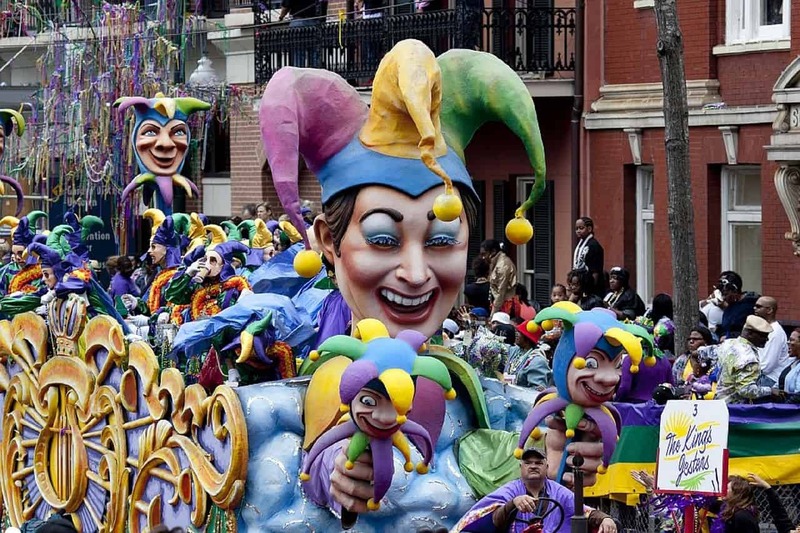 Each year, people flock to the state to take part in the food, sights, music, and the huge and flamboyant party that is Mardi Gras. Add to that joyous vibe, the state recently passed new laws to permit patients to register in its new medical marijuana program. The program is fairly new, so it’s quite modest in size, but it has the potential to become the South’s primary destination for cannabis and its derivatives. Is CBD Oil Legal in Louisiana? Yes. CBD oil is legal in Louisiana. In fact, CBD is legal in most states as long as it adheres to very specific guidelines. Under the 2014 Farm Bill, CBD products must have a THC level of not more than 0.3%. However, some states allow for different levels of THC, usually ranging from 0.3 to 0.9 percent. CBD hemp oil, which has little or no THC, is among the most popular CBD products and is sold in many food stores and vape shops. Hemp oil is very different from cannabis oil, the latter having THC as its primary component. What Kind of CBD Oils are Legally Available in Louisiana? It’s important to note that Louisiana doesn’t allow the recreational use of marijuana and only medical patients are allowed to have access to it. Marijuana derivatives like cannabis oil are also prohibited and should only be used by those enrolled in the state’s medical cannabis program. Individuals who don’t have chronic or severe disorders, have a difficult time acquiring a license, or don’t want the psychoactive effects of marijuana, may use CBD hemp oil, which is legal. This product is known to induce feelings of calmness, alleviate anxiety, treat seizures, and cure insomnia among other things. Hemp is one variety of the cannabis plant and it’s generally used in the US for industrial purposes. This plant is strong, doesn’t need too much tending, and don’t require a lot of water to thrive. It can be processed to create paper, clothing, and other construction materials. The marijuana industry is starting to bloom in the Bayou State, but many people don’t know that not all cannabis is the same, and not all varieties contain the psychoactive compound THC. With hemp, residents of the state will be able to take cannabis without the feeling of intoxication, which many believe is a better option when it comes to using it as an alternative treatment for various diseases. What can CBD Oil be Used for in Louisiana? How can I Get CBD Oil in Louisiana? The state is no different from other states that have opened its doors to the use of CBD products as a form of treatment. In the Bayou State, there are several shops that offer CBD products. Due to the fact that hemp-derived CBD is legal on the federal level, you won’t find it hard purchasing CBD products from retailers or manufacturers. Can Doctors Prescribe CBD Oil in Louisiana? This allowed for medical patients to obtain cannabis and its derivatives, which includes smokable products and raw flowers, and use them for treating chronic and severe health disorders. The new law also allowed the cultivation of cannabis and set up an environment for the industrialization of the plant rather than simply eliminating penalties for the possession of cannabis. As of May 2018, there are only 11 doctors licensed in Louisiana to recommend cannabis and cannabis-based products. According to the registry of the Louisiana Board of Medical Examiner, a total of 15 medical professionals applied. As of writing, there are nine state-licensed dispensaries throughout the state. The Louisiana Board of Medical Examiners has licensed physicians allowed to recommend the use of medical marijuana. In addition, the state has new bills that will likely expand the patient base allowed to use cannabis in PTSD, autism, chronic pain, and other conditions. Can I Buy CBD Online in Louisiana? Definitely. In fact, CBD online is the most convenient way to get these products. This is ideal for residents of the state who don’t have time to scour their cities for shops offering CBD products. You can search the internet for state-based retailers or manufacturers in the US. Make it a habit to read reviews and comments from real customers, both past and current. This will give you an idea of how an online source operates and what the most common products are often bought from them. The Bayou State still has a bit of an anti-cannabis vibe, but there has been progress in the area. Medical marijuana was approved for qualified patients last election cycle under strict restrictions. With the new bill designed by the House of Representatives and approved by the Senate, more people can avail of the benefits of CBD and find treatment for diseases. Anyone who’s not qualified or hasn’t registered in the medical cannabis program of the state can always turn to hemp-derived CBD products, which are legal and an excellent choice.